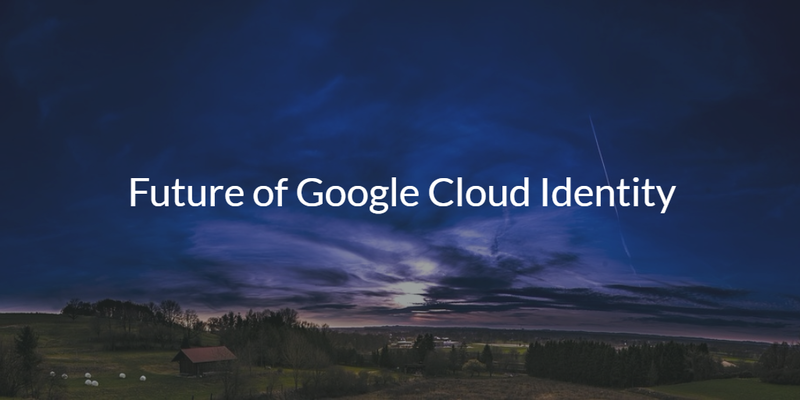 With the IT market in a state of flux, what is the future of Google Cloud Identity? Google has been focused on the cloud IAM market for a while now, with a number of different approaches to it, but will they ever pull together a comprehensive solution that will rival the monopoly, Microsoft Active Directory®? The short answer is no. Google’s cloud identity management interests seem to lie elsewhere, but a third party solution, Directory-as-a-Service® (DaaS), tightly integrated with Google can accomplish that task. The longer answer really goes to Google’s history and their future intentions. Google started their foray into identity management with the introduction of Google Apps. They also tried to leverage consumer identity management techniques to make Gmail identities more ubiquitous and competitive to Facebook, Twitter, and others. On the business side though, Google Apps Directory was their identity management play, but it wasn’t meant as a replacement to Active Directory. 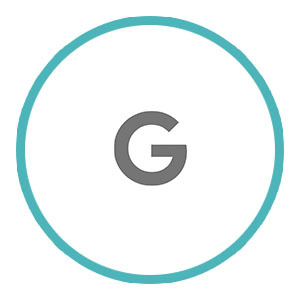 G Suite Directory (the new name for Google Apps directory) is meant to be a user management service for Google Apps and a few, select web applications. G Suite even has a directory sync tool to connect to the on-prem Active Directory. 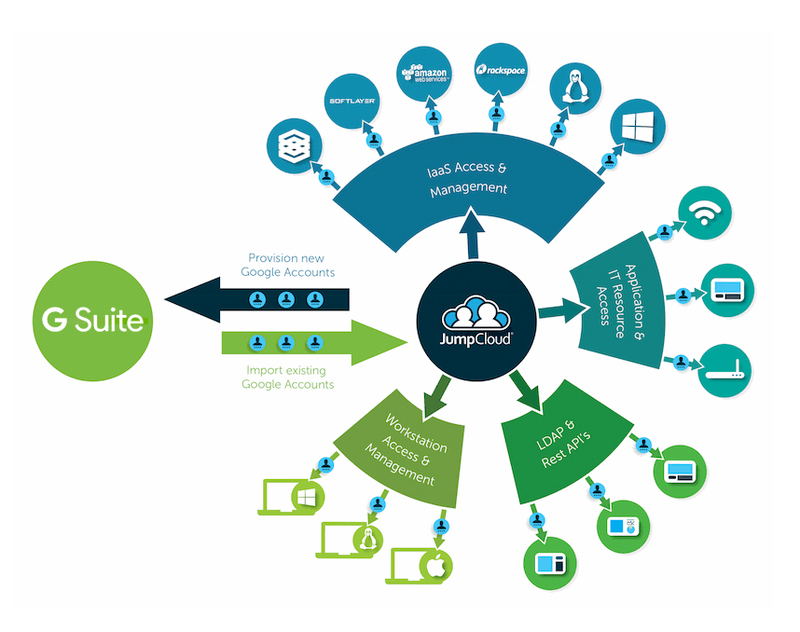 The direction of G Suite Directory is more to leverage SAML and OAuth to connect to web applications, and not be a unified cloud directory. Google has also introduced cloud IAM as a solution to manage – again – users at the web level for their Google Cloud platform. Think of it as a competitive product to AWS IAM, focused on managing users of the Google Cloud platform. The challenge for IT admins and DevOps engineers is that they also need to manage access at the server and application level, which Google’s cloud identity approach doesn’t solve. There is also another issue IT organizations will want to contemplate, which is how to handle on-prem IT resources including their systems (Windows, Mac, Linux), applications (e.g. Jira, OpenVPN, MySQL, and many more), and their networks (wired and WiFi). Google’s Cloud Identity approach is not aimed at solving those problems and issues. As we mentioned earlier, there is a solution that is tightly integrated with Google’s G Suite and Cloud platforms. Called Directory-as-a-Service, DaaS effectively is the future of cloud identity management that IT organizations are searching for. 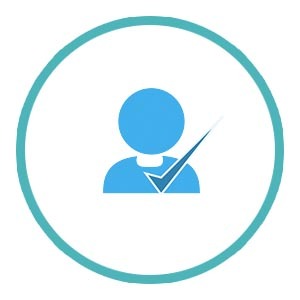 DaaS is an alternative to Active Directory that securely manages and connects users to the IT systems, applications, and networks that they need to access. If you would like to learn more about Google Cloud Identity and why Directory-as-a-Service may ultimately be that for Google G Suite and Cloud customers, drop us a note. We’d be happy to walk you through how we see the cloud IAM market evolving. 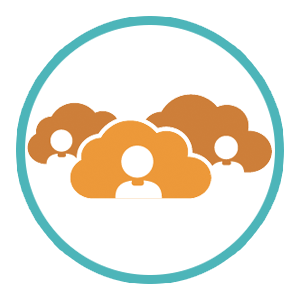 Alternatively, feel free to sign-up for a cloud directory service account and see how our cloud based directory integrates with your Google services. Your first 10 users are free forever.